RANZCOG is all about excellence in women’s health. They also excel at finding a development agency with the technical proficiency needed to complete highly complex web development projects. 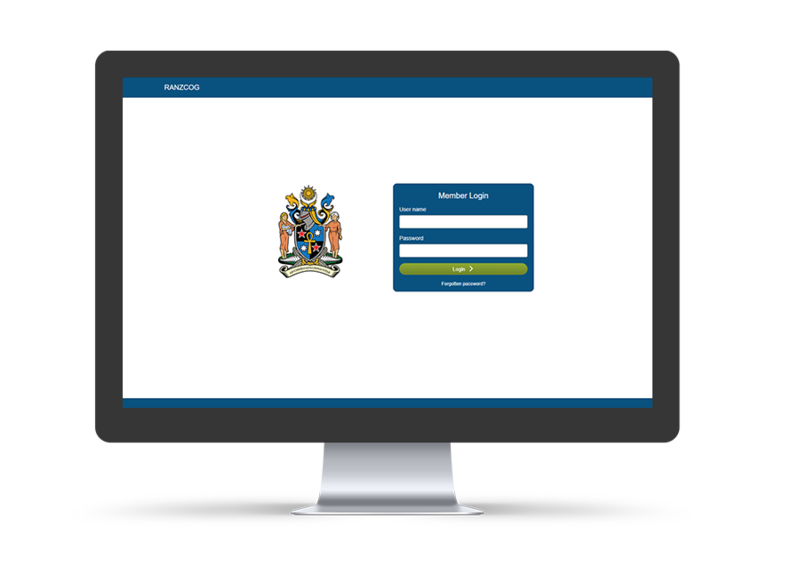 RANZCOG approached Newpath Web to assist with the development of a custom portal for members. The overall project goals was to create greater business efficiencies through the development of digital assets shaped to the needs of RANZCOG fellows. A strict timeline would also be needed to meet the scheduled annual fee payments. To meet the project goals, the portal had complex requirements. 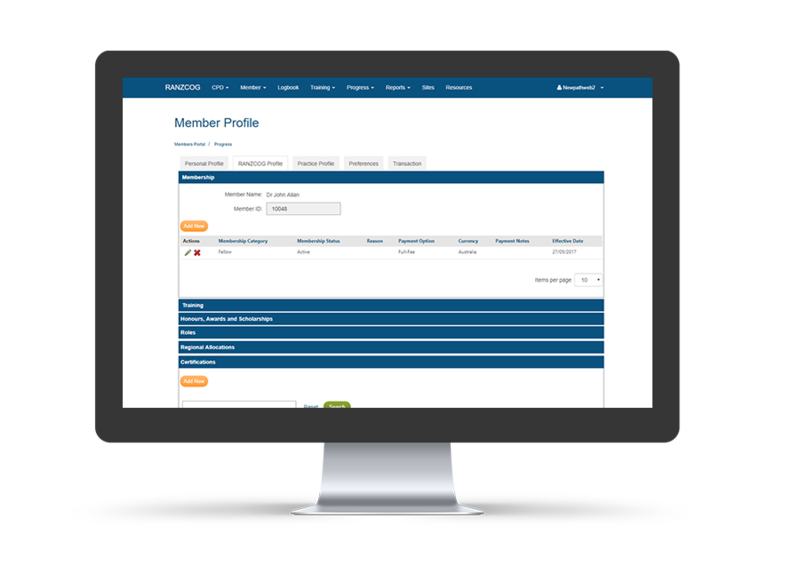 All members required secure portal access that would allow them to manage their membership subscriptions, pay member fees in both Australian and new Zealand and also log and track training activity. As with all portals, it was paramount to put in place advanced security to protect sensitive data. Added to the project scope was a full featured intranet. This would provide all fellows with easy 24/7 access to relevant information. The current portal was an inherited Kentico CMS. Many Kentico standards had not been adhered to which had left the CMS sluggish and unable to perform correctly. Before beginning the project a thorough repair and clean up process was undertaken. This would ensure the future functionality and features could be added without creating project roadblocks. It takes specific experience, knowledge and planning to develop an effective solution on the most appropriate CMS frameworks. Being Kentico Gold partners, our experienced development team got to work confidently planning the project scope. With an objective of making the solution highly efficient and productive, a full analysis was followed by UX and information architecture planning. The result was a comprehensive project plan with built in flexibility to develop and grow the solution in the future. First, both the project milestones and clear project deadline was met. The entire process was seamless with the Newpath Web and RANZCOG team clearly and regularly communicating. The final product included a clear, clean UI with a user friendly interface. 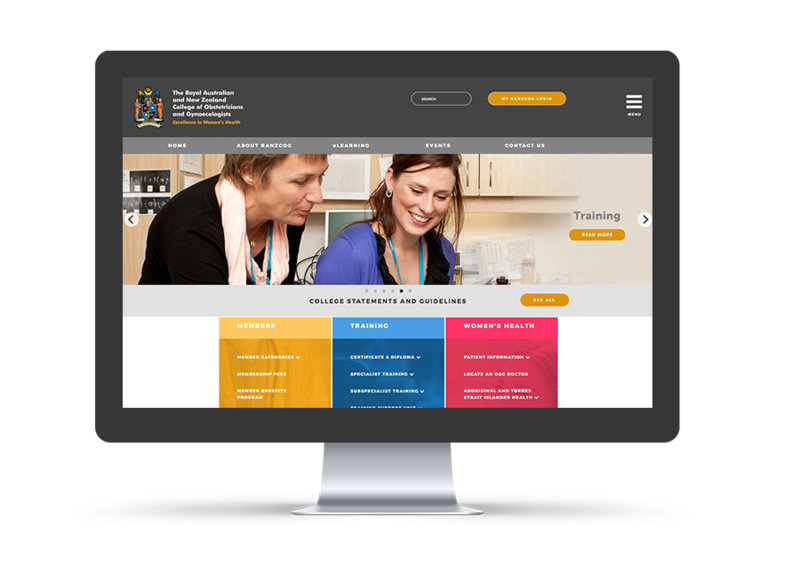 RANZCOG fellows were quickly able to navigate the new portal to manage their personal profiles, pay member fees in multiple currencies, and all while viewing and tracking their personal development requirements. As project manager, I found Newpath Web to be an excellent business partner. They were responsive to the our needs, flexible in approach and delivered a high quality of work to budget. Bringing them in was the right decision from day one. Their entire team was a delight to work with. Professional, slick, and competent. They mapped out deliverables, milestones and resourcing, and then consistently delivered on time, producing outcomes that had been tested and was ready for production. This has been a great relationship and one we will continue to enjoy for a long time to come.